"Employment Relations" is widely taught in business schools around the world. Increasingly however more emphasis is being placed on the comparative and international dimensions of the relations between employers and workers. It is becoming ever more important to comprehend today's work and employment issues alongside a knowledge of the dynamics between global financial and product markets, global production chains, national and international employment actors and institutions and the ways in which these relationships play out in different national contexts. This textbook is the first to present a cross-section of country studies, including all four BRIC countries, Brazil, Russia, India and China alongside integrative thematic chapters covering all the important topics needed to excel in this field. 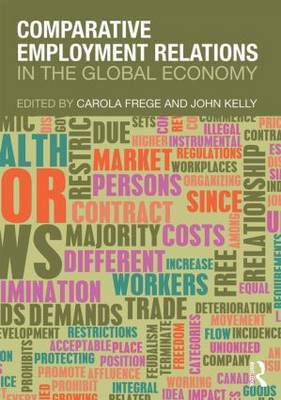 The textbook also benefits from the editors' and contributors' experience as leading scholars in Employment Relations. The book is an ideal resource for students on advanced undergraduate and postgraduate comparative programmes across areas such as Employment Relations, Human Resource Management, Political Economy, Labour Politics, Industrial and Economic Sociology, Regulation and Social Policy.